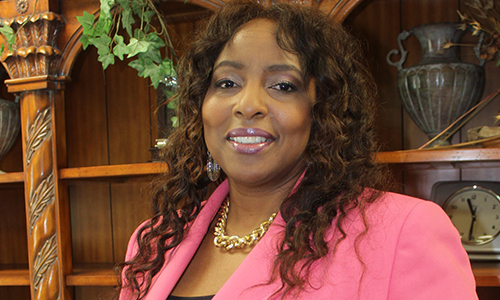 Elder Tenisha Watson coordinates the Women’s Fellowship Ministry and Nursing Home Ministry, and is an instructor for the Adult Church School. She is a certified mediator, life coach, motivational speaker, trainer, and counselor. She is currently simultaneously pursuing her Bachelor of Science Degree and her Master of Business Administration Degree, with a concentration in Business Management. “Elder Tenisha”, as she is lovingly known, is the Founder and Executive Director of Jordan Community Resource & Residential Center. The mission of Jordan is to provide transitional housing, employment assistance, mentoring, training, and education for women who are in transition. She received her current ordination as Elder under the leadership of Dr. Williams in May, 2003. She dedicates her life to supporting women who are experiencing difficult life changes. Her excellent communication and motivational speaking skills, combined with the anointing from God on her life, has given her the unique ability to inspire women of all backgrounds. Elder Tenisha is the wife of Deacon Robert and the mother of two children.